UPDATED 26Sep2018: I’ve noticed that most woodworkers start assessing a board by looking at its face. But if this is where your investigations end, you’re missing out on insights that can lead to a lot of creative control and better woodworking. That’s because the appearance and behavior of solid wood has at least as much to do with something that’s best seen on the end of the board, not the face. 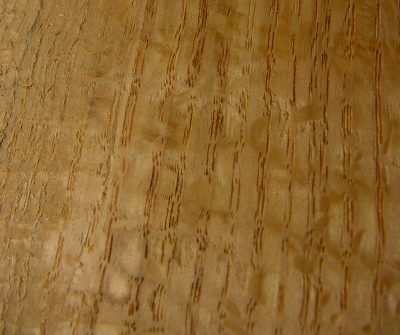 The orientation of the growth rings of a tree relative to the face of the board as it was sawn exerts a big influence on how completed furniture looks, as well as how it behaves in relation to moisture and humidity. Growth rings can run more or less parallel to the face of a board, they can run perpendicular to the face or somewhere in between. And given the economics of the milling business, most lumber you find for sale will have growth rings angled anywhere from 0º to 45º from board faces. This is called “flat sawn” lumber and there are three things you need to know about it, some good, some not so good. Depending on the species, flat sawn boards typically have the most prominent grain patterns. This is especially true with pine and spruce. Flat sawn boards also cost the least, but they also expand and contract the most for a given change in moisture content. It’s this kind of movement that causes cracking and warping of finished projects, so the less you have the better off you are. When growth rings are angled anywhere from 45º to 90º to a board’s face, it’s called vertical grained or quartersawn. The closer to 90º you get, the more pronounced the vertical grained qualities become. Depending on the species of wood you’re dealing with, true vertical grained lumber moves 50% to 100% less for a given change in humidity than flat sawn. The appearance of vertical grain wood is more visually consistent and refined than flat sawn, too. That’s because true vertical grain boards always show parallel lines caused by the side view of growth rings plainly visible on the board face. All this is good, except that fine wood suppliers are smart enough to recognize vertical grained lumber, jacking up prices by 50% to 200% over equivalent grades of flat sawn lumber of the same species. The trick is understanding how to get vertical grained lumber without paying a premium, and there are at least two places you’ll find it. Next time you’re at a building supply yard, walk over to a pile of kiln-dried, premium-grade construction grade 2x8s, 2x10s or 2x12s and look at the ends of the boards. In most cases you’ll find about 30% of the lumber shows some degree of vertical grain orientation. Half of this wood will be virtually free of knots, straight-grained and outstanding for building the highest quality furniture. The pine, fir and spruce that make up construction grade lumber piles isn’t typically used for fine woodworking, but it works easily and finishes beautifully. One reason you’ll find these pearls is because sawmills that produce construction grade lumber pay no attention to growth ring orientation, so they don’t separate these boards for sale at higher prices. 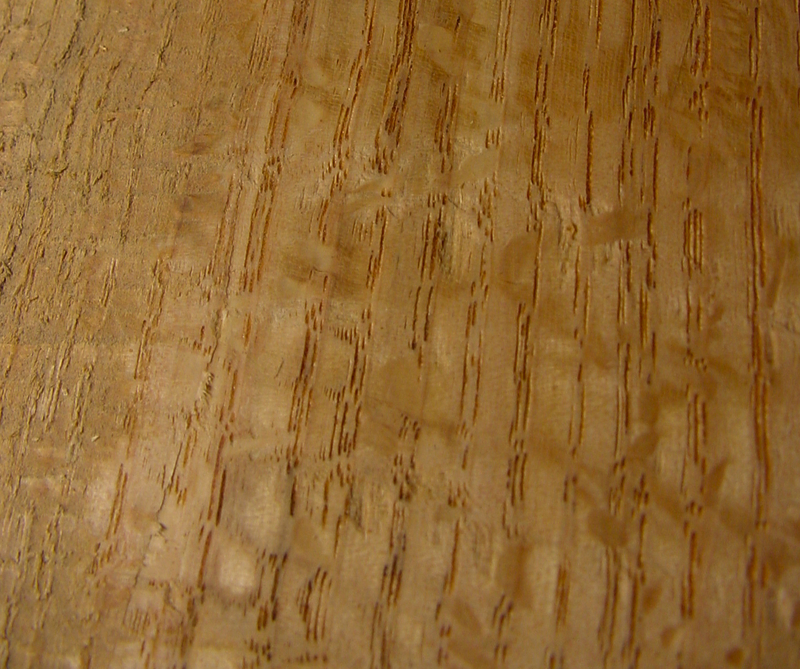 Wide planks are most likely to show vertical grain patterns on at least one side of the board. Cost for this wood is so low that even if you cut off the flat sawn sections, you’ve still got a bargain. Small sawmills that custom-cut logs are another source of vertical-grained wood at good prices, though most of them won’t cut logs quartersawn for you in the typical sense. Quartersawing is the traditional way of milling vertical grain lumber, but since it takes longer and yields less wood from each log, few people do it. 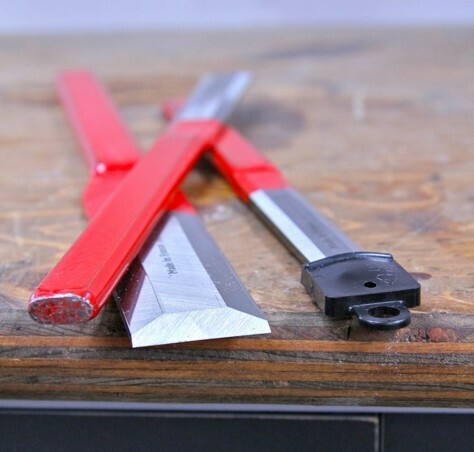 But something called sawing “through and through” (also called flitch cutting) is another matter. It involves simply cutting across the entire width of a log from one side to the other, leaving bark on each edge of each board. The biggest and best boards will have perfect vertical grain sections on each side of the middle of the log. Saw off what grew as the middle part of the tree since it’s unstable, and you’ve got yourself a classic vertical grained gem, along with a whole new understanding of what makes for a great board. Of all the non-tropical hardwoods, oak shows the greatest visual benefit from vertical grain orientation. That’s because oak – particularly white oak – has an especially prominent cellular feature called “rays”. 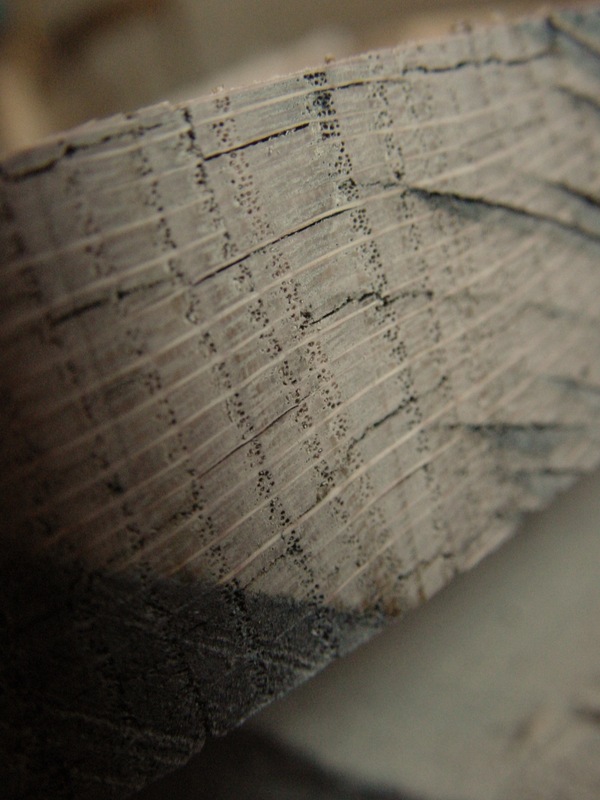 These run at 90º to growth rings, and are often long enough to span a dozen rings each. Vertical grain sawing puts these rays parallel to the face of a board, allowing them to be seen easily as they’re sliced lengthwise and exposed. The resulting visual effect is called “ray fleck”, and it’s the secret behind the distinctive look of antique oak furniture. Run-of-the-mill oak sold in stores rarely shows ray fleck because sawmills make more money cutting oak logs in a flat sawn orientation. Ray fleck is also an important feature in true Mission style designs.